Sergey Fedorovich Shishko (June 25, 1911, Nosovka, Chernihiv Province — April 26, 1997, Kiev) — Ukrainian painter, master of landscape and still life. 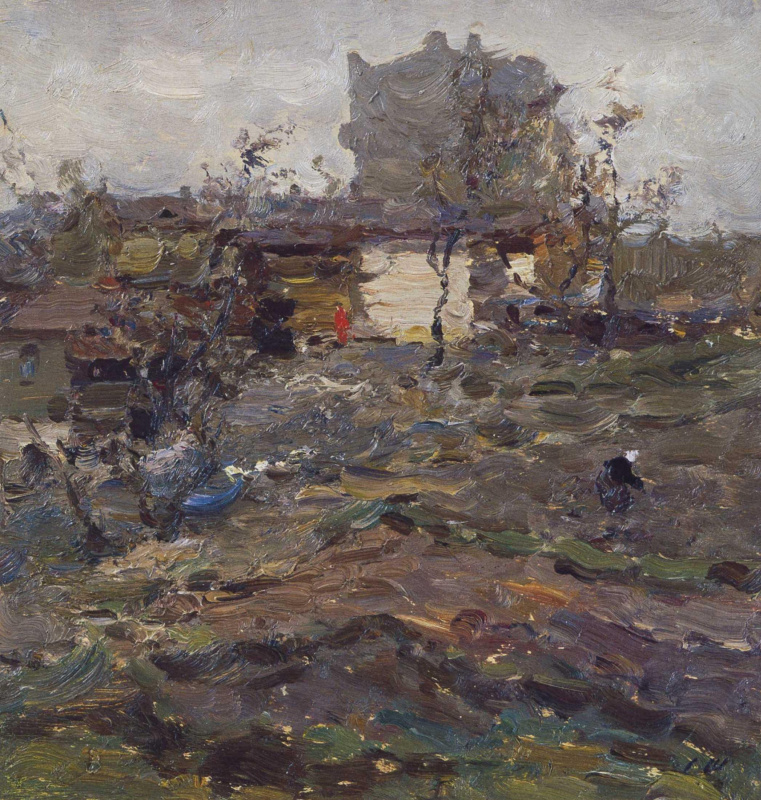 Features of the artist Sergey Shishko: Having received a classical education of the Soviet art school of social realism, Shishko, nevertheless, used impressionistic techniques in his works, had a wonderful sense of color and was a master of composition. "Maestro of the landscape", the artist spent a lot of time in the open air, looking for new perspectives of familiar landscapes. From 1944 to 1970, Sergei Shishko worked on the painting series "Kiev Suite". Sergei Shishko — People’s Artist, Honorary Citizen of Kiev, winner of the National Prize of Ukraine named. Taras Shevchenko. Famous paintings by artist Sergei Shishko: "On Kiev’s cool", Babi Yar, "Kiev distance", "Flowering chestnuts", "Khreshchatyk", "Vladimirskaya Gorka". Sergey Fedorovich Shishko was born on June 25, 1911 in the town of Nosovka in Chernihiv region, in the family of a veterinarian. In 1919, the family moved to Nizhyn. The talent of the future artist was discovered by his school art teacher P.P.Lapa, whom Sergey Shishko warmly recalled all his life. At age 18, Sergei entered the Kiev Art Institute. His teachers were the organizer of this universityFedor Krichevsky — studentValentina Serova and Gustav Klimt, — andMikhail Boychuk and a brilliant representative of the Russian avant-garde Alexander Bogomazov. 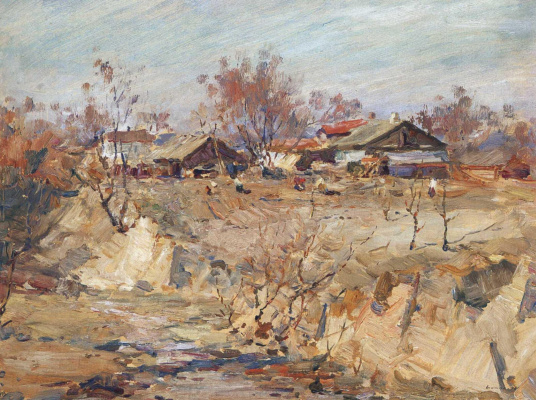 In 1933, Shishko returned to his native Nizhyn and for several years worked in the schools of the city as a teacher of drawing. Fine still lifes with flowers appeared in the artist’s personal gallery in the most difficult days of his life. It so happened that his wife Maria Grigorievna and daughter Valya were gravely ill for many years and were bedridden. Sergey Fedorovich himself took care of his "girls" and always brought them beautiful bouquets to please them. Friends of the artist also came with flowers. And Shishko captured them in expressive still lifes, drowning out the heartache, turning it into an extravaganza of colors. 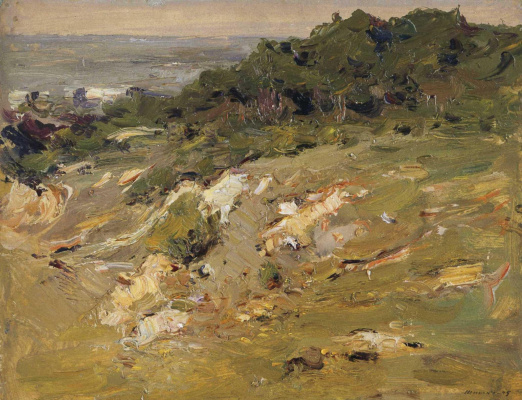 He often combined genres, making still life part of the landscape or interior. The years of the Great Patriotic War, Sergei Shishko spent in evacuation, in Samarkand, created a series of works there. He also made a series of portrait sketches and sketches on the First Ukrainian Front. In 1943 Shishko graduated from the Leningrad Institute of Painting, Sculpture and Architecture. Repin, his teacher was Boris Ioganson. Having lived for some time in Zagorsk near Moscow, in 1944 the artist moved to Kiev, which he managed to fall in love with during his years of study at an art institute. 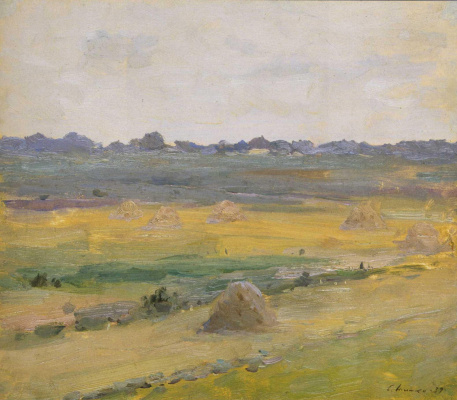 Types of the Ukrainian capital Shishko painted to the end of his life. The artist in his unchanged favorite felt beret could be found on the streets of Kiev at any time of the year. 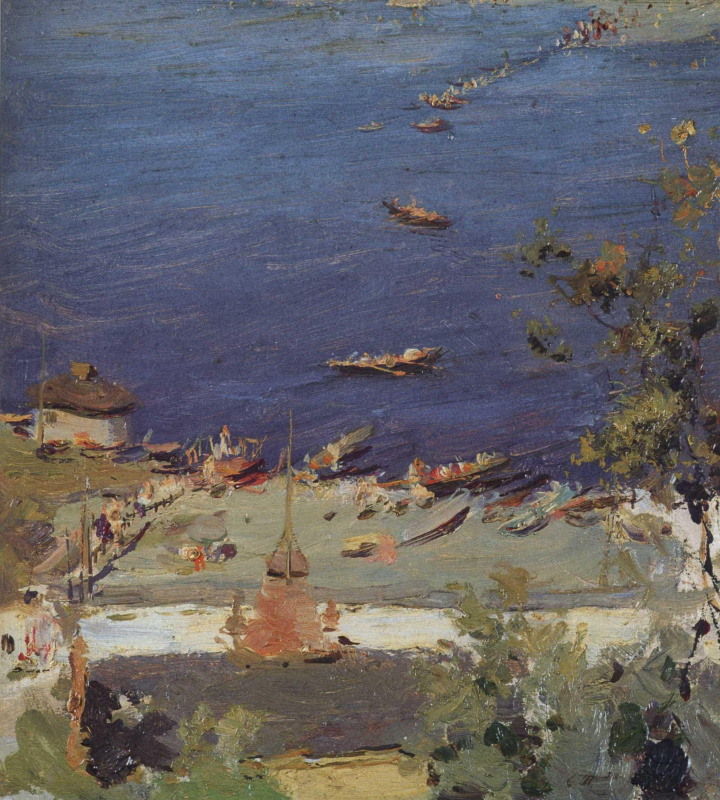 Sergei Shishko became a chronicler of this city, creating a gallery of works "Kiev Suite" - more than 100 paintings and sketches, — for which he received the National Prize of the Ukrainian SSR. Taras Shevchenko. 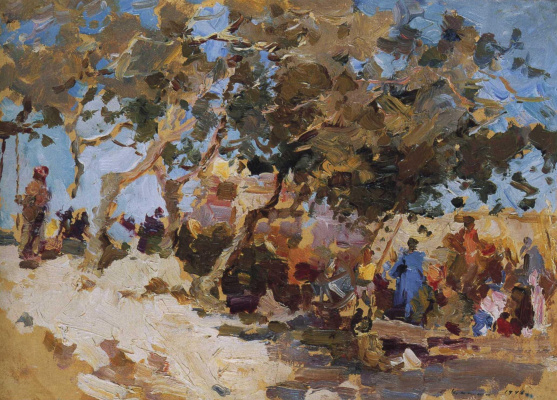 In the 1950s, the artist traveled extensively throughout Ukraine, drawing views of the Chernihiv region and historical places of Zaporizhia, mountain landscapes of the Crimea and the Carpathians. The artist paid tribute to the portrait genre, working mainly in the graphic technique. In recent years, Sergei Fedorovich preferred to work with pastels. He said: "I always begin to work only when the poetic, beautiful, first of all in color, opens in reality itself; when I feel that I can not write. The artist exhibited a lot, taught. In 1987 inKiev History Museum The first large personal exhibition of the artist’s works took place; a year later Sergei Fedorovich presented 60 paintings to this institution. He passed away at the age of 85. Sergey Shishko was buried in Kiev, at the Baikovo cemetery. Sergey Fedorovich Shishko (June 25, 1911, Nosovka, Chernihiv Province - April 26, 1997, Kiev) - Ukrainian painter, master of landscape and still life. 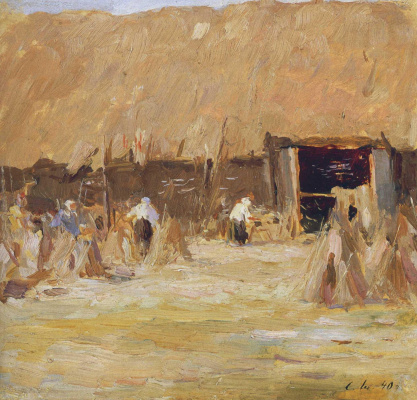 Features of the artist Sergey Shishko: Having received a classical education of the Soviet art school of social realism, Shishko, nevertheless, used impressionistic techniques in his works, had a wonderful sense of color and was a master of composition. "Maestro of the landscape", the artist spent a lot of time in the open air, looking for new perspectives of familiar landscapes. From 1944 to 1970, Sergei Shishko worked on the painting series “Kiev Suite”. Sergei Shishko - People's Artist, Honorary Citizen of Kiev, winner of the National Prize of Ukraine named. Taras Shevchenko. Famous paintings by artist Sergei Shishko: "On Kiev's cool", Babi Yar, "Kiev distance", "Flowering chestnuts", "Khreshchatyk", "Vladimirskaya Gorka". Sergey Fedorovich Shishko was born on June 25, 1911 in the town of Nosovka in Chernihiv region, in the family of a veterinarian. In 1919, the family moved to Nizhyn. The talent of the future artist was discovered by his school art teacher P.P.Lapa, whom Sergey Shishko warmly recalled all his life. At age 18, Sergei entered the Kiev Art Institute. His teachers were the organizer of this universityFedor Krichevsky - studentValentina Serova and Gustav Klimt, - andMikhail Boychuk and a brilliant representative of the Russian avant-garde Alexander Bogomazov. In 1933, Shishko returned to his native Nizhyn and for several years worked in the schools of the city as a teacher of drawing. Fine still lifes with flowers appeared in the artist’s personal gallery in the most difficult days of his life. It so happened that his wife Maria Grigorievna and daughter Valya were gravely ill for many years and were bedridden. Sergey Fedorovich himself took care of his “girls” and always brought them beautiful bouquets to please them. Friends of the artist also came with flowers. And Shishko captured them in expressive still lifes, drowning out the heartache, turning it into an extravaganza of colors. 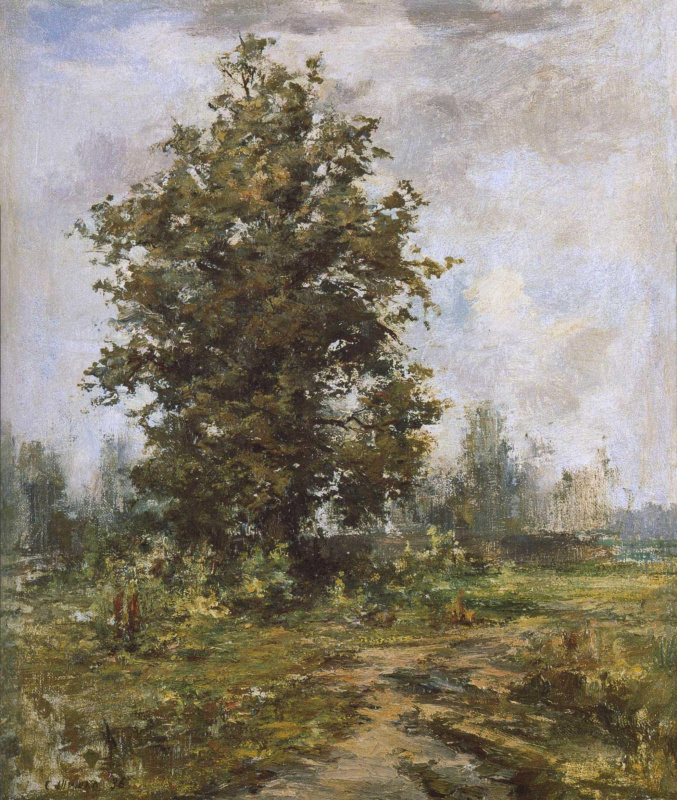 He often combined genres, making still life part of the landscape or interior. The years of the Great Patriotic War, Sergei Shishko spent in evacuation, in Samarkand, created a series of works there. He also made a series of portrait sketches and sketches on the First Ukrainian Front. In 1943 Shishko graduated from the Leningrad Institute of Painting, Sculpture and Architecture. Repin, his teacher was Boris Ioganson. Having lived for some time in Zagorsk near Moscow, in 1944 the artist moved to Kiev, which he managed to fall in love with during his years of study at an art institute. Types of the Ukrainian capital Shishko painted to the end of his life. The artist in his unchanged favorite felt beret could be found on the streets of Kiev at any time of the year. 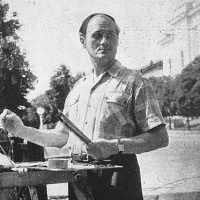 Sergei Shishko became a chronicler of this city, creating a gallery of works "Kiev Suite" - more than 100 paintings and sketches, - for which he received the National Prize of the Ukrainian SSR. Taras Shevchenko. 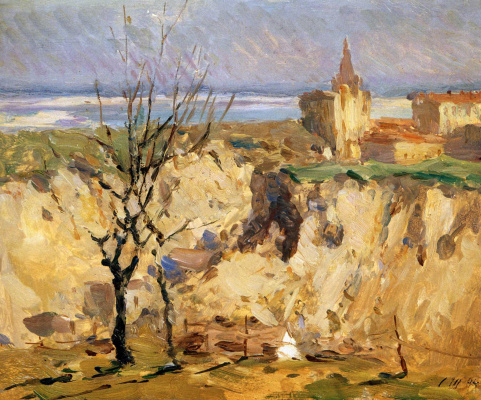 In the 1950s, the artist traveled extensively throughout Ukraine, drawing views of the Chernihiv region and historical places of Zaporizhia, mountain landscapes of the Crimea and the Carpathians. The artist paid tribute to the portrait genre, working mainly in the graphic technique. In recent years, Sergei Fedorovich preferred to work with pastels. He said: “I always begin to work only when the poetic, beautiful, first of all in color, opens in reality itself; when I feel that I can not write. The artist exhibited a lot, taught. In 1987 inKiev History Museum The first large personal exhibition of the artist's works took place; a year later Sergei Fedorovich presented 60 paintings to this institution. He passed away at the age of 85. Sergey Shishko was buried in Kiev, at the Baikovo cemetery. Spring in Kurenevka. Babi Yar.